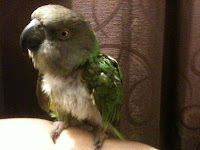 Recently, Taz (a Senegal Parrot) has come to live with us. She is a beautiful girl, although, she is a "plucker", and does look a bit "battle ravaged" at the moment. We hope, with time and patience, to break her of this habit. She is a little on the small side for a Senegal, but, perhaps when her tail feathers grow back in she will look a bit bigger. Taz is absolutely delightful. She is full of personality and a lot of fun to have around. As expected, she is bonding with Anthony. 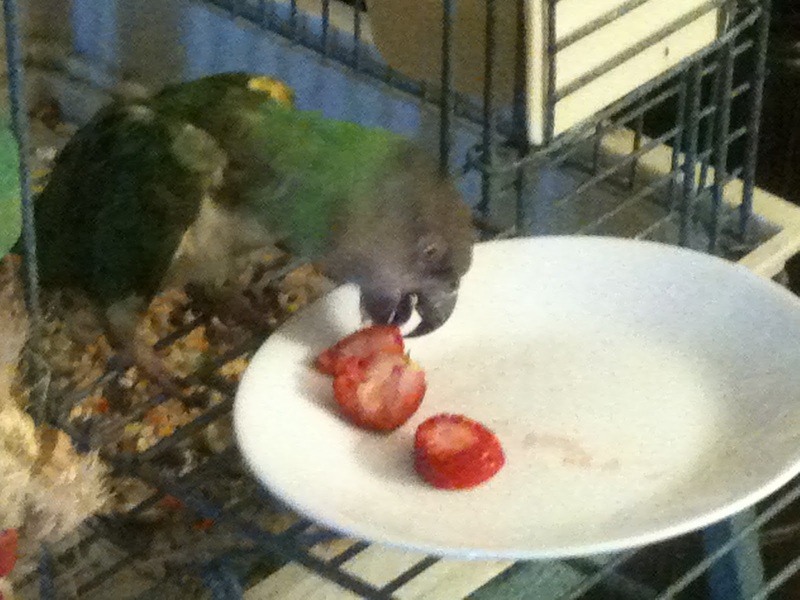 All our pets bond with him because he truly is a most patient and tolerant person. I created the image, to the left, as a tribute to Taz coming to live with us. I chose to do it in the Pop-Art styling of Andy Warhol because Taz is such a cool bird with many layers of personality. 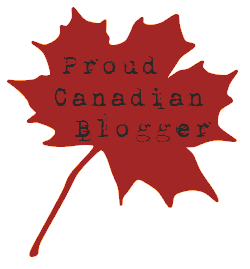 This was such a fun image that I created a some items at Zazzle with this image on it. You can see a sample, below, of the tie. Doesn't that look amazing?!? Taz is 18 years old (as of February 9, 2013) and came to live with us when her human had to move to Florida and could not take Taz with her. Her human, Vicky, had rescued Taz 18 years ago from an abusive situation (when she was only a few months old). It was a difficult decision for Vicky to let go of her beloved Taz. Of course, it was a blessing for us. Taz was sad for the first week or so, but she has since started to settle in nicely to her new home. She has perked up nicely and her wonderful personality is really showing through now. We even think her feathers are growing back in. Taz is such a sweet girl. She loves coming out to play and visit. And, she really enjoys exploring her new environment. She is still a little shy about speaking, but she does make happy sounds and purrs when she is very content. She loves company, and when our dear friend, Jill, came for a visit, Taz was on her best behaviour. Jill does have a way with animals and children. They just LOVE her! 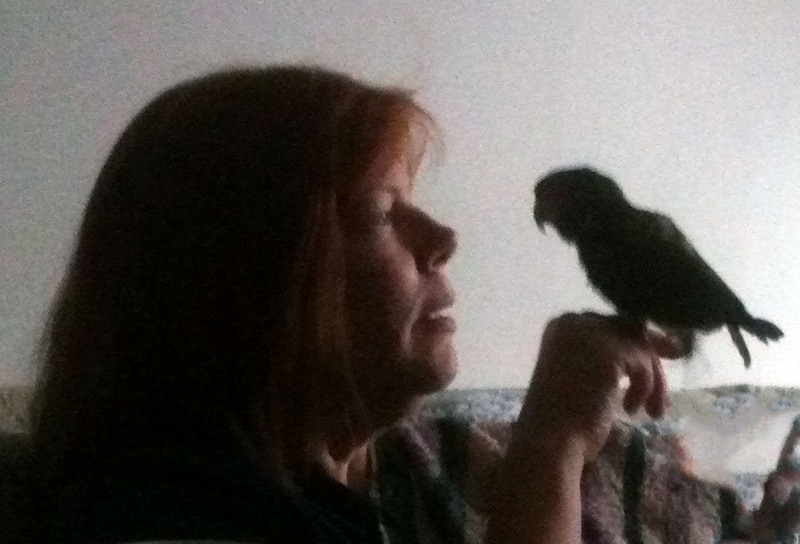 All our birds love Jill and behave much better for her than they do for us! Taz enjoys "helping" me when I am on the computer. Of course, it is difficult to get any work done with having to constantly skritch her. She also loves to ride on my shoulder as I do household tasks, like make the bed, or go down for the mail. All in all, Taz is a great addition to our little family. She fits right in and we are enjoying her so much! If you are just getting started with Evernote, Ana Tirolese recommends that you purchase Brett Kelly’s remarkably practical e-book, Evernote Essentials, Second Edition. It is worth setting aside a couple hours to work through this brief, 95-page book. 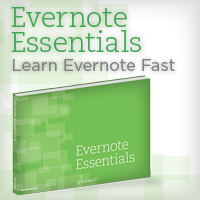 It will save you DAYS of learning Evernote on your own.